We are starting to have more open conversations about mental health but there is still a lack of understanding and acceptance of mental health issues. Physical health conditions are generally seen as treatable and requiring input from qualified professionals, while those with mental health needs are often asked to just get on with things and act as though there is nothing wrong. Mental health is something we should all talk about more. Counselling is one way to do that. We need to prioritise our mental health and wellbeing and learn what helps us to take care of ourselves better. I take a non-stigmatising and recovery-focussed approach to mental health and see recovery as a journey that is different for everyone. I have worked with clients who have serious mental health diagnoses for many years individually and in group settings. If you feel like getting out of bed in the morning is too much then the idea of seeking therapy may be overwhelming. Things might feel hopeless right now. In considering therapy you are connecting with a hope that things can change. Taking that step into the therapy room is a step towards understanding your depression and taking control of it. Therapy offers somewhere you will be accepted and can be yourself. If you are experiencing depression it can be a lonely and shameful place to be. Sharing that with someone who is non-judgemental and impartial is a very powerful process which can shift your depressive thoughts. We all experience anxiety at some time in our lives. Anxiety is one of our primary defence mechanisms. It kept us safe from predators when we were hunter-gatherers in the wild. 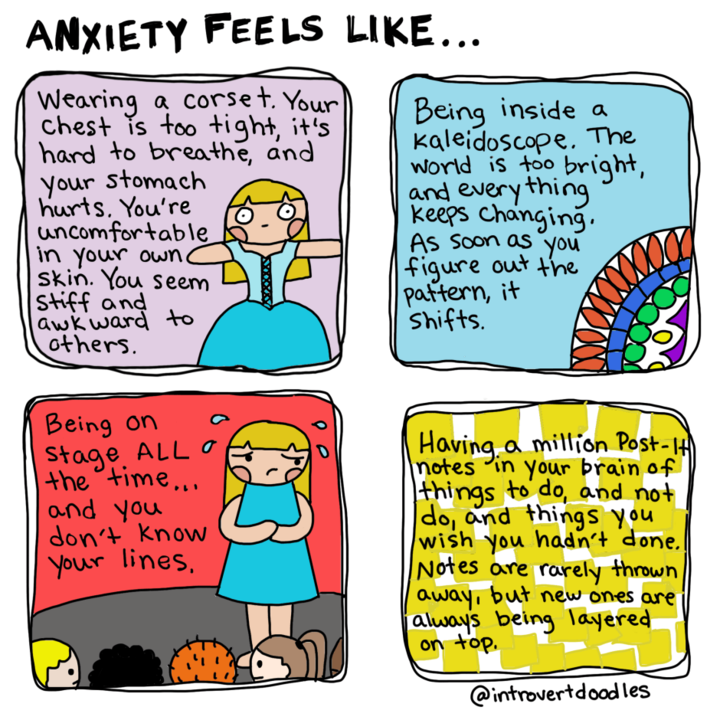 Unchecked, anxiety can become overwhelming. Perhaps you're spending all your time focusing on things that could go wrong in the future, or being preoccupied with something that happened in the past. In therapy the focus is on the present moment, the 'here and now' of what is happening in current relationships and in the therapy room. Coming to therapy can be the start of doing things differently- stepping back and giving your mind a rest, challenging your unhelpful automatic thoughts.